The journey you are about to embark on began in 2007 after a great deal of ethnohistorical research, conversations with Noongar Elders and some amateur experimentation with Typha rhizomes. The main challenge was in the ethnohistorical descriptions which were often vague and difficult to interpret and remarkably similar to one another. What we present to you in this paper may provide some insights into possibly one of the most ancient forms of plant carbohydrate used by humans. in 1834 George Fletcher Moore describes ‘a broad sort of flag’ that grows around the swamps of Perth and the Upper Swan. He is referring to the bulrush or Typha that grew in abundance on the margins of freshwater lakes and swamps in southwestern Australia. When visiting Perth in 1837 James Backhouse refers to this broad-leaved bulrush as Typha latifolia (Latin, latus, meaning broad + folia, leaves). However, Typha latifolia is not found in Western Australia so this is probably Typha orientalis. ‘The lagoons are much filled with the cat’s-tail reed (Typha latifolia), the root of which is eaten by the natives’ (Backhouse 1843:153). It is difficult for us to picture the many Typha swamps and lakes as they existed in pre-colonial times in the Perth and surrounding districts when they were carefully managed by indigenous cultivation and fire regimes. 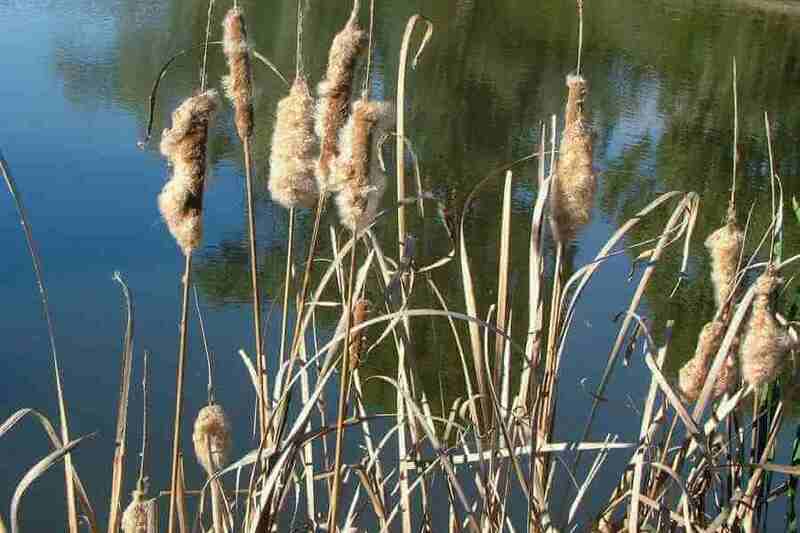 Today Typha is regarded almost as a weed that congests our waterways and is usually controlled by chemical herbicides. Figure 2: The Great Lakes of Perth – A reproduction of map by A. Hillman and J.S. 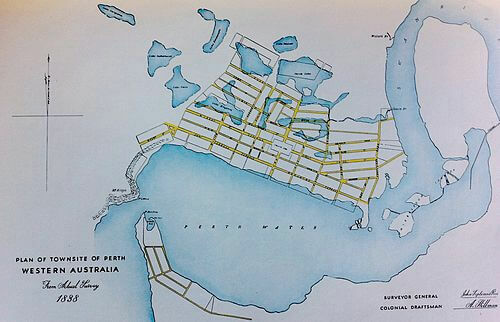 Roe 1838 showing wetlands that existed with superimposed geometric road grid over the new Townsite of Perth. Source: Perth Water Wikipedia (original image held by State Library of Western Australia (BA1961/14). ‘We can find no evidence of why Typha orientalis became, or is currently considered introduced to Western Australia’ (Keighery and McCabe 2015: 34). We wonder why Drummond, if he believed it was a different species, did not follow this up. He does not mention any distinguishing Linnaean factors but comments on the thick and succulent rhizomes. Could these have been the product of indigenous firing and cultivation? This brings us to the question, if the ethnohistorical evidence suggests that both species are native to Western Australia, why demonise one? Is the reason because Typha orientalis has become a pest and an uncontrollable coloniser of our waterways with no known natural enemy to constrain it? We think so. It is much easier to demonise and eradicate an ‘introduced’ species rather than a native one. In pre-colonial times it was Aboriginal cultural practices that facilitated the management of Typha through fire and cultivation. How relevant is a European-derived plant classificatory system to traditional hunter-gather society? Leaving the native Typha species argument aside, let us look at the cultural appropriateness of a European-derived Linnaean classificatory system with its obsession on above-ground plant morphology, involving the minutiae of leaf, flower, seed and stem anatomy. How relevant are these considerations to a hungry hunter-gatherer people who relied heavily on the underground storage organs of plants – tubers, bulbs, rhizomes and corms (often loosely referred to as “roots”) for their survival. The thick nutritious rhizomes of yanjidee (Typha) were one such favoured food. As we have pointed out elsewhere, the Noongar like other Aboriginal Australian groups had evolved their own logical, independent, highly practical and utilitarian-based plant classificatory system thousands of years before Europeans arrived on their shores. Aboriginal people were more interested in the utilitarian value of plants and their products (for purposes of food, medicine, tools, shelter, ornaments etc), where they were found, how and when they were procured and prepared, rather than the minor morphological variations of the Linnaean system. Some Noongar plant descriptors were symbolic, totemic and mythological or in some cases represented body part or function metaphors. With the exception of Moore’s chance encounter one evening (1834) when visiting an Aboriginal camp within the vicinity of his property at Millendon in the Upper Swan, we would suggest that many of the early ethnohistorical accounts of food preparation relied on indigenous male informant descriptions or the standardised colonial hearsay derived from accounts reported in the local newspapers, such as the Swan River Guardian, Perth Gazette and Inquirer. Explorers’ accounts from other parts of Australia (such as those of Mitchell and Eyre) that were published in the popular colonial newspapers of the day also contributed to this collective pool of hearsay. Another salient factor rarely considered when interpreting 19th century descriptions of Noongar food processing is that these practices were performed exclusively by women and white male observers, especially in the early days of colonisation, would not have been privy to the intricacies of these food processing rituals. This makes us wonder to what extent all of these factors may have coloured the descriptions of what we now consider to be the science of ethnobotany. Let us examine some of the early descriptions of Typha root usage provided by Moore (1834, 1842), Drummond (1836) and Grey (1840, 1842) and maybe with contemporary Noongar input and a bit of anthropological imagination we can build a picture of how Typha was cultivated and managed in pre-colonial times together with the methods used to convert it into a nutritious food source. ‘The cat’s tail, or reed mace, – the plant described by Mr Moore as a sort of flag or sedge,- grows in abundance in the bed of the stream. This plant is of great importance to the natives, as furnishing a great portion of the food of their women and children, for several months in the year…. [the roots] are thick and succulent, and contain a large portion of starch and mucilage. It may be worth the white man’s knowing, that when any of them are so unfortunate as to be lost in the bush, they need not suffer much from hunger, by using this plant as the natives do; it generally abounds near water.’ (Drummond 7th May 1836 in Hercock et al 2011: 19; also in Perth Gazette 28th May 1836). ‘A species of Typha allied to Angustifolia of Linnaeus but larger in all its parts, and the spike of the flowers of a lighter brown colour, called by the Natives Yandyait; the roots abound with starch, and are compared by them in their nourishing properties to bread.’ (Drummond 1837: 257 Swan River Guardian). Drummond notes that Typha roots were used to feed large gatherings that took place annually in autumn. Although he claims to have observed these meetings which lasted for several days, he does not provide any ethnographic or other details. Such occasions would have involved social, ceremonial and ritual exchange activities. Also autumn, especially April, was a time of plenty when protein and fat rich foods such as fish, frogs, turtles, jilgies and by-yu (Macrozamia sarcotesta) were consumed. This time of year was the start of djeran – a preparatory time for building up body condition and subcutaneous fat in readiness for the long cold wet lean season. Drummond (1842) describes two methods of consuming yandyait but the second technique is vague and confusing and lacks any scientific detail, especially if one were to try to replicate his instructions. 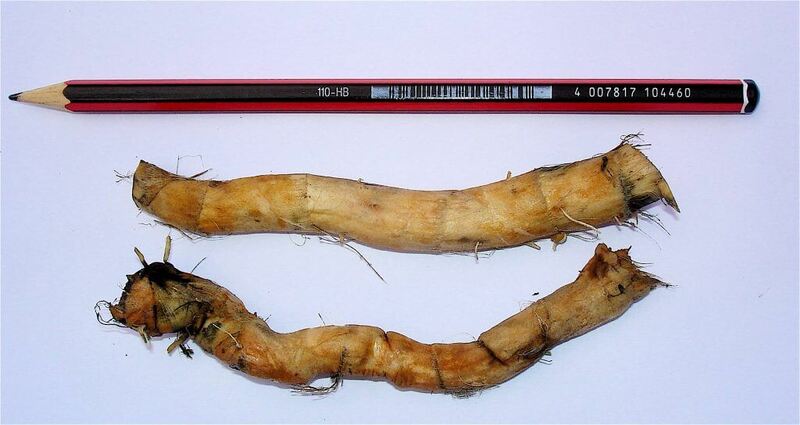 It is unclear as to whether he is referring to the splitting of cooked or raw Typha rhizomes. Typha domingensis raw rhizome. Photo by Ken Macintyre. It is possible that Drummond may have been referring to the extraction of a Typha meal from the pith of raw rhizomes. We attempted to do this by crushing, scraping and drying a rhizome and managed to extract a small quantity of coarse fibrous flour-like granules that could have been further refined by grinding (and removing the fine fibrous matter) for use as a baking flour. This would have been a very time-consuming and laborious method of obtaining flour but we cannot rule out this possible means of survival. Drummond (1842) seems adamant that the timing of Typha harvesting was critical in order to obtain the optimal starch content in the rhizome. He emphasises that Typha roots were only nutritious during autumn. This is consistent with Grey (1840) and Moore’s (1842) view that April and May were the best months to consume it. But was it starch that Drummond was referring to here? Or was there some other essential nutrient in the rhizome composition and taste? According to a Polish scientific study conducted by Kurzawska et al (2014: 2) starch is not the only nutritious substance found in Typha rhizome. It also contains a wide range of saccharides including ‘glucose, galactose, xylose, mannose, glucuronic and galacturonic acid, arabinose, ribose, fucose, rhamnose and fructose.’ This Polish study contradicts Drummond’s assumption by stating that the starch ratio does not vary at different seasons. Did Noongar people consume the Typha rhizomes outside the March- April- May season? We suspect that he is probably referring here to late summer at which time the Typha rhizomes would have contained sufficient starch and sugars. Small family groups subsisting on their local yanjet grounds may have systematically harvested Typha over a period of months. Reading the journals of the early explorers such as Mitchell (1839), Eyre (1840-1841) and Grey (1841), it is easy to get the impression that Typha root could be consumed over a prolonged period up until the wet season. However, they all refer to the proper Typha season as being when the plant is in senescence and we would suggest at this time also high in sugar content. Hallam (1989) for some unknown reason prolongs the Typha season suggesting that it formed ‘a basic staple throughout the winter until the Yam, Dioscorea hastifolia, became available in spring (Gott 1999 cites Hallam 1989:141). 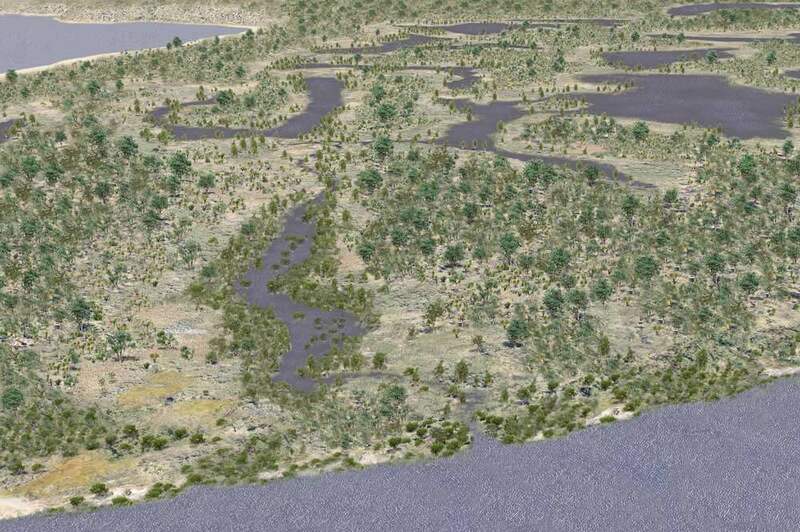 It is unclear on what evidence this view is based for the inclement southwestern Australian winter which caused lowland swamps and floodplains of rivers to be inundated was a necessitating factor in the seasonal movement of Noongar people to the higher ground further inland every year. We find it hard to imagine that they would be digging Typha roots on the emergent zones of rivers and swamps during the wet season makuru (or maggoro) when the Typha beds would have been partially submerged. Digging up yanyett rhizomes was a labour-intensive task, often commencing after the first autumn rains. If the rains were late the Typha remained dormant and the digging season was delayed due to the impenetrability of the dry hardened clay topsoil. The first rains moistened the topsoil making it easier for women to dig out the rhizomes with their wooden wannas. Heavy rains sometimes delayed harvest due to flooding. Thick starchy horizontal Typha rhizome before peeling and processing,Toodyay. Photo by Ken Macintyre 2008. When we spoke to some elderly Noongar women and asked for their views on how Typha rhizomes would have been cooked, they said that they had never cooked Typha roots but would probably cook them by peeling them and then smashing the insides and cooking them damper-style in the ashes. First of all they would heat the ground using hot coals and ashes, make a round shallow hole in the heated ground, pour in the kneaded mixture and then cover with hot ashes to cook. This was a similar method to how the traditional seed cake made from ground Acacia seeds known as kwonnart was cooked. The earth-oven baking technique is a traditional Aboriginal means of cooking processed seed and we would suggest that Typha flour was also baked in a similar fashion. But why, we ask, was it cooked slowly and methodically in the ashes? We have found from experience in the preparation of other Noongar foods that there is never one reason but multiple reasons. Let us consider it from a scientific perspective. Roasting helps to soften the tough fibrous starchy inner portion of the rhizome, making it easier to extract the starchy contents by chewing and/or pounding into a fibrous paste using grindstones. Further, it cooks the raw starch making it more readily digestible and diminishing any toxic and/or bitter compounds. As chewing was probably the most common method of extracting the starch from Typha rhizomes, a well- cooked rhizome would be softer on the palate. One thing that we did notice was the similarity in the preparation of Typha rhizome and root bark – the method involved cooking, grinding and finally chewing to extract the sweet matter. Moore (1834) in his early work has no doubt that the Typha roots were cooked twice: first roasted and then baked as a cake. But we wonder if this was the normal practice? Or could Moore have been making an assumption, coloured by his own Irish background, where cakes were always baked. Oldfield (1865) describes a more likely and immediate scenario (with reference to the Watchandi people living at the mouth of the Murchison River) for satiating hunger whereby the starchy Typha roots are first roasted and then pounded until it ‘assumes the form of a coherent cake’ or manageable mouthful and is then consumed without further cooking. From the vague ethnohistorical accounts for southwestern Australia it would seem that this same method was used. We believe that chewing mouth-sized portions of the roasted and pounded rhizome mixture was probably the way it was consumed at large gatherings. Roasting the rhizomes, pounding and then either drying or baking them into a dry mealy “bread” which Moore (1834) describes as tasting like ‘a cake of oatmeal’ may have been practised by smaller family groups and also as a convenient means of short term food storage. 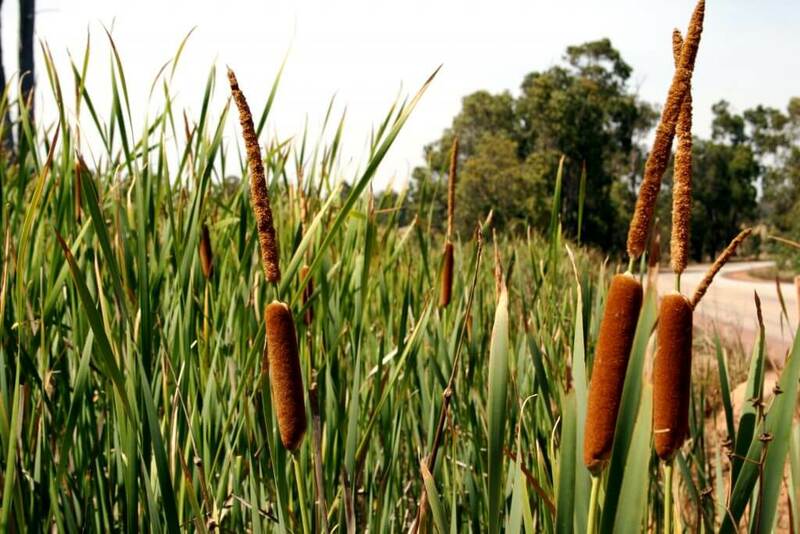 Did Noongar women make flour from Typha rhizome? 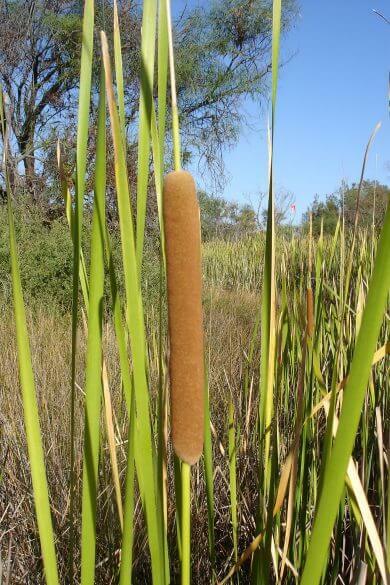 A question that we have often been asked is did Noongar people make their own flour from Typha rhizome? It is easy to assume here that Moore is referring to the traditional flour made from Typha rhizomes. However, by 1834 European flour would have been in use by Aboriginal groups, especially those living in close proximity to white settlement. We have no doubts that Noongar women extracted a flour-like substance from the rhizomes of Typha and cooked it in much the same way as described by contemporary Noongar women whom we interviewed. We interpret this process as roasting, peeling, grinding and removing the excess fibrous material and then baking the moist pasty mixture in an earth oven. We could find no ethnohistorical accounts of how the Typha flour was produced. We can only imagine that In the traditional context the Typha flour would have been cooked (for the second time) as a wet mealy paste. When baked into cake form it would have been of a heavy dense texture that could be stored for future use. We would suggest that by the time James Backhouse observed the lagoons ‘much-filled with cats-tail reed’ in 1837 the indigenous practice of burning and managing Typha beds in the Perth area had ceased owing to the colonial usurpation of their traditional hunting and gathering grounds which had resulted in a massive disruption to their traditional livelihood, forcing them to depend on white society for much of their subsistence. An essential component of the indigenous cultivation of Typha was burning the bulrushes prior to harvest. This would have taken place late summer/ early autumn when the seasonal swamps had dried out. 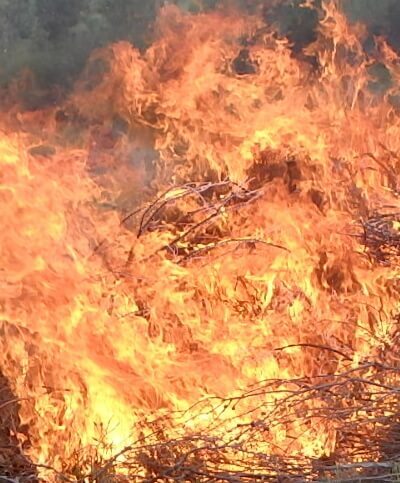 Reasons for burning were multipurpose: it helped to remove dense dried swamp vegetation that was often inhabited by poisonous snakes such as the tiger snake (norn); it provided supplementary protein in the form of animal and reptile by-catch; it was carried out during the non-nesting season for birds; it enabled access to wetland hunting grounds once water levels were replenished; it helped to preserve sufficient open water for waterbirds; it removed dead and decaying vegetative litter and returned nutrients to the soil. 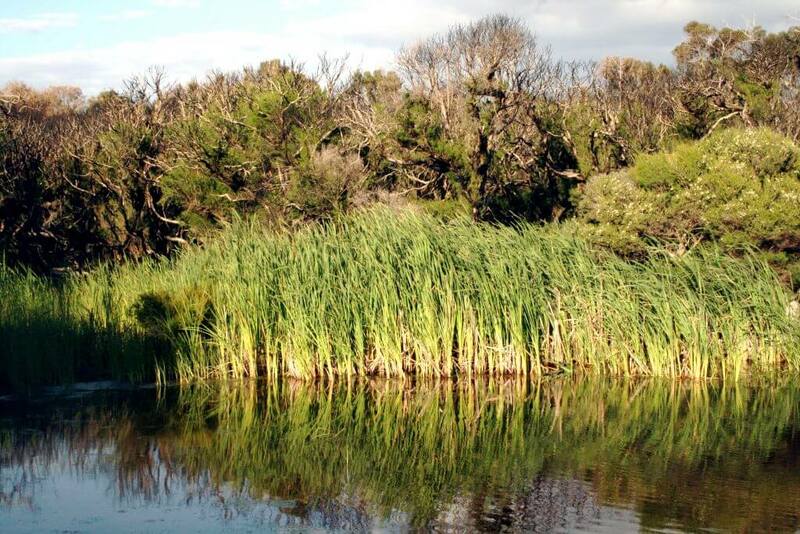 The anthropogenic firing of Typha swamps is a good example of early Noongar people’s intervention using fire to create an ecologically balanced riverine and wetland environment. At this point we want to introduce the notion of ‘muck burning.’ Muck here refers to ‘a soil rich in carbon-based compounds from dead plants and organisms that stays burning for a long period of time.’ It involves subsoil burning and, depending on the accumulated biomass of organic plant matter, can become a very dangerous and uncontrollable type of fire, especially in swamplands and Typha colonies where it may smoulder for months. We would suggest that because the Typha was burned annually, according to ethno-historical accounts, that possibly only a light ‘muck-burning’ of the soil took place. This would have promoted the return of carbon-rich nutrients to the Typha beds and if such conscious burning took place every year, or on a rotational basis, it must necessarily, as pointed out by Grey (1841) be seen as a type of food crop cultivation. Light muck firing may be seen as an ancient form of wetland management. It protects the Typha beds from an excessive build up of subsurface organic material known as ‘muck’ and its potential for igniting destructive deep muck fires, arising from spontaneous combustion or lightning strikes, which in severe instances could destroy the entire Typha bed. This type of firing also provides an efficient means of fertilising the new season crop and promotes larger rhizome growth. We wonder whether Grey (1841: ) was referring to an improvement in crop yield when he stated: ‘…they frequently burn the leaves of the plant in the dry seasons, in order to improve it” or was it to improve the taste as suggested by Moore (1842:81). It was probably both. It is our contention in this paper that yandyait (or its variants) is an indigenous descriptor that refers to part of a rich freshwater wetland or riverine habitat. Grey (1840: 139) unwittingly acknowledges this at least in part when he records yun-je (from which yunjeedie derives) as ‘a tuft of emu-feathers, a stream of running water, a spring.’ He would not have been aware that he was recording an all-inclusive descriptor for a Typha wetland habitat, with the metaphor possibly extending to include a significant plant phenological indicator as to when yunjeedie should be burned prior to harvest. The feathery seeding flowers of the Typha were a phenological indicator that it was time to burn them. A Noongar Elder once commented to us that the feathery flowers of the seeding bulrushes were a Noongar indicator that it was time to burn them. He was very concerned by the use of herbicides by the local Council on the Typha and other ripparian vegetation, believing that it would kill local fish and native bird populations. 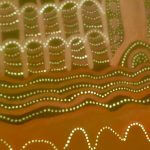 He said that the Noongar way was to burn the Typha before all the seed left the flowers. In this way ‘it would destroy much of the seed.’ But he emphasised that it must be burned every year or two to keep the river fresh and the vegetation under control. He said that he had told the government this many times but no one seemed to listen to him. 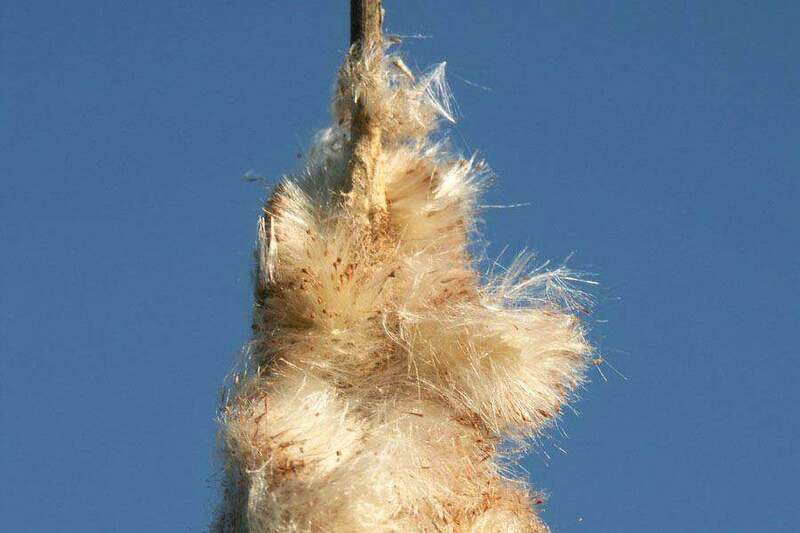 The whitish-grey fluffy down of the Typha seeding flower spike (see below) was a natural indicator that the Typha beds were ready for firing. The fluffy down is reputed to be a natural tinder. This may also have had symbolic significance to the timing of the event. Phenological indicators enabled a high degree of precision as to the timing of ripeness or readiness of foods for harvest or in this case, burning the Typha. The feathery tufts of Typha seed down – mature seed heads releasing their seeds. Photo by Sheldon Navie. Typha feathery seed down (mature seed heads releasing their seeds) Photo by Chris Gardiner. The Typha swamp is the backdrop for many totemic birds including swans, ducks and swamp hens and also the smaller insectivorous predators, such as the restless flycatcher, willy wagtail and wren, each playing its part in the rich mythological tapestry of the wetland. Some of these birds feature in the narratives collected by Ethel Hassell (1974) and Daisy Bates (in Bridge 1992). The Typha swamp was also the focus of the larger and more commanding mythology of the Waugal – a powerful water spirit in the form of a large serpent that is said to have created the rivers and wetlands and is responsible for their replenishment. The Waugal was not only a creator but also a destroyer to those who disobeyed the ancient laws. Even to this day the Waugal is feared and revered by Noongar people when they frequent places believed to be associated with the Waugal. Throughout our time working with Noongar people they have always emphasised that the Waugal originally came from the northern regions and that its tracks are evidenced by the chain of lakes running north to south along the coastal plain from Yanchep to Beeliar. They believe that these lakes are hydrologically connected to one another and that they represent tangible evidence of the Waugal’s subterranean odyssey as it created the landscape. The symbolic association of Typha with the Waugal mythology is well-recognised, especially with regards to the health of the wetland ecosystem. The Waugal has been explained to us on numerous occasions by the Elders as being a metaphor for the continuous cycle of replenishment and renewal of fresh water and birdlife in the lakes, swamps and rivers of Noongar country. ‘Aboriginal people believed that the water level [of swamps and rivers] was controlled by the seasons, thus creating a harmony and balance between aquatic life forms and other animals, including humans who frequented the area.’ (Macintyre and Dobson 1999 in the Australian Environmental Law News, no. 2, June-July, p. 61). During our field trips Typha has been variously described by different informants as symbolising facial hair (beards, moustaches), pubic hair and head hair (or mane) of the Waugal. These mythological descriptions are similar to the body part metaphor used by Bates’ Noongar informants’ who described limestone deposits (cliffs, outcrops and caves) along the rivers and coast as symbolising the faeces (goonna) of the mythological Waugal where it stopped to rest during its water and landscaping odyssey. Body function metaphors are not uncommon in Noongar language and mythology where creative ancestors are anthropomorphised and seen to perform the same bodily functions as people today. 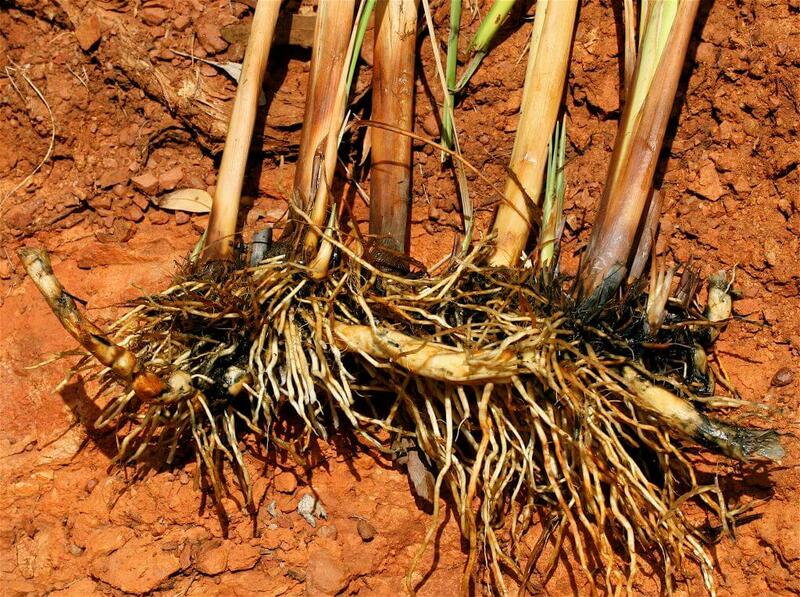 Typha rhizomes were a favoured starch seasonal staple in many parts of Australia and the shoots were also eaten raw in parts of southeastern Australia. We could find no documented ethnohistorical reference to the practice of eating Typha shoots in southwestern Australia but were told by Noongar Elders that sometimes the white inner shoots of selected Typha stems were eaten raw as a snack food. A word of caution though, for anyone tempted to experiment, the preliminary results from a study conducted in India on Typha domingensis showed that its leaf may contain potentially harmful phyto chemicals like alkaloids, tannins, saponins and steroids and that it is ‘used externally for burns and wound healing, leaves are diuretic.’ The rhizome of this species was found to contain ‘sugars, steroids and cardiac glycosides in its phytochemical analysis’ (International Journal of Pharmaceutical Sciences Review and Research 2016:32). 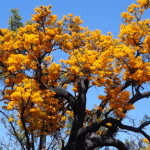 Until chemical testing is conducted on our own botanical specimens from southwestern Australia at the season when they were traditionally consumed by Noongar people, we have no way of knowing the phyto-chemical and nutritional composition of yanjet (T. domingensis or T. orientalis) before or after cooking in wood ash. Gott (1999) emphasises caution in interpreting these results as Brand Miller et al’s (1993) analysis is based only on one raw Typha rhizome. The nutritional content may vary depending on region, soil, climatic factors, previous firing regimes and time of year when collected. Another factor that should be taken into account is agricultural fertiliser run-off which can affect the chemical composition of Typha for it is a heavy nutrient feeder and functions as an effective wetland filter. 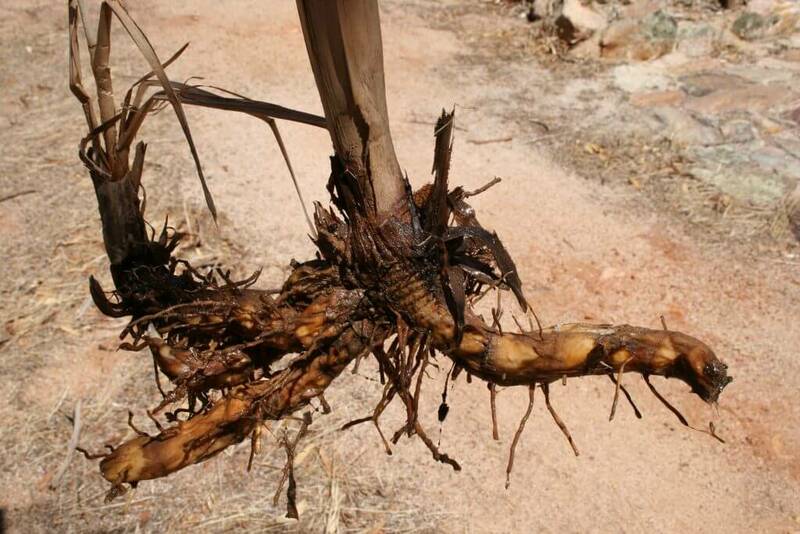 We are not aware of any chemical or nutritional analyses of yanjet rhizomes having been carried out in Western Australia. ideally if such tests are to be carried out we would recommend that (i) the Typha patch be burned in accordance with traditional local land management practices and that (ii) the sample specimens are collected during autumn (late March/ April/ May) in accordance with the ethnohistorical record when the root is still in its dormancy and before the heavy winter rains cause flooding. It is important that the date of collection of specimen is synchronised with the timing of traditional usage. Until we have our own local chemical analyses, we must rely on studies conducted in other parts of the world which may be indicative but hardly conclusive. We have no doubt that Typha is one of the most ancient forms of carbohydrates utilised by humans. 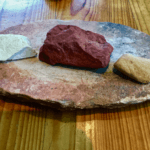 An Italian study found that Typha starch residue that was recovered from the surface of grinding stone implements from several sites across Europe was dated to be at least 30,000 years old (Revedin et al. 2010). We would assume given the antiquity of Australian Aboriginal culture that if such archaeological research were to be systematically conducted on grinding materials from southwestern Australia that the results could well predate these European findings. It would seem that we have raised more questions than answers in this paper. It is now time for our local archaeology and anthropology university departments in cooperation with chemists and food scientists to reconstruct indigenous food processing techniques in an attempt to determine the nutritional value of these ancient foods. 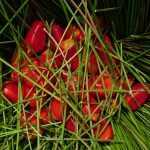 We would like to alert anyone who is intending to consume Noongar bush tucker that many indigenous foods are toxic or bitter tasting without the proper processing and preparation. 1. We find it surprising that WA Florabase provides an image of T. orientalis which they declare to be an “introduced” species but does not provide an image of the native Typha domingensis. 2. We wonder if Grey’s comment about there being two species of Typha is based on two different names he may have collected for this plant. 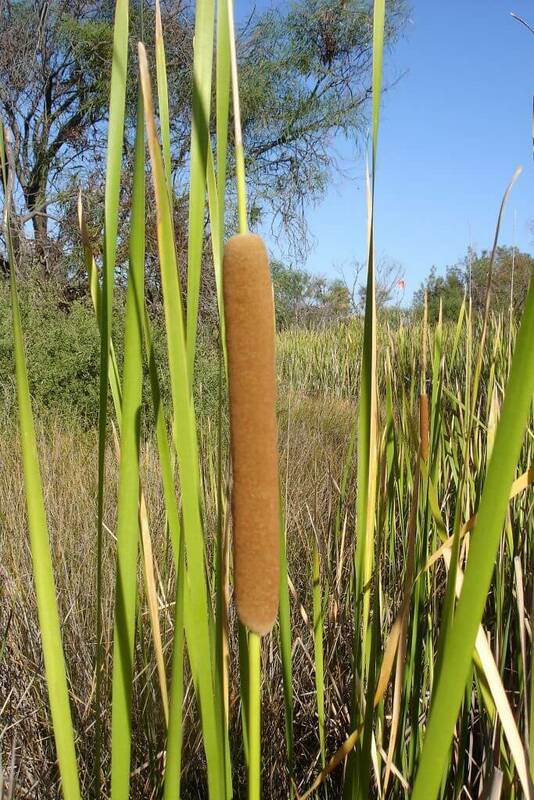 When he travelled to the north of Noongar country he may have come into contact with a different name for the plant; for example, among the Watchandi at the mouth of the Murchison river the indigenous name for Typha or bulrush is “ura” (see Oldfield 1865). 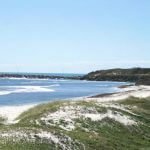 (Grey travelled through this area in the late 1830’s). Different names for a particular plant, animal or bird were often assigned to different “species’ by early recorders, especially Grey (1840), Moore (1842) and Drummond (1842) as if assuming (wrongly!) that indigenous people followed the same Linnaean speciation model. 3. The experimental research on which this paper is based was conducted by Ken Macintyre and Barb Dobson in March and April 2008 at Toodyay, 84 km northeast of Perth, Western Australia. In the table above Gott (1999) provides the results of a study by Brand Miller et al (1993: 112-115) on the nutritional analysis of ‘a raw peeled rhizome’ of Typha orientalis. 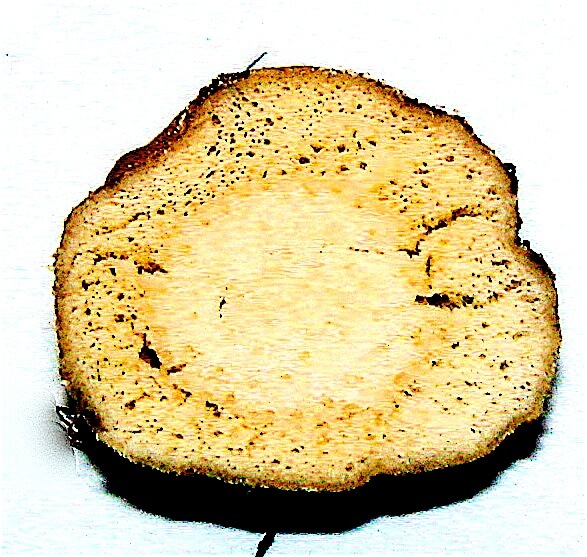 She includes, for comparative purposes, an analysis of the nutritional content of Triglochin tubers that were consumed by Aboriginal groups in southeastern Australia. Time of year of collection of samples of Typha and Triglochin specimens is not specified. 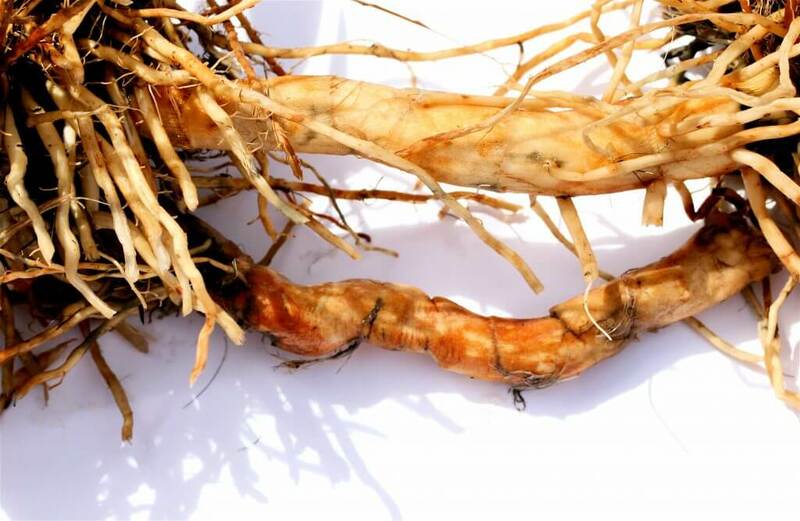 We would recommend a similar analysis be carried out of the nutritional composition of local Typha rhizomes from southwestern Australia at the starch-rich season, around April.